If there’s a film released in 2017 that everyone (I mean literally everybody!) should see that is Wonder. This is not just a feel-good family story, but it’s an inspiring, heart-warming tale of a 10 year old boy with a disfigured face (like many in real life) who copes in his own special way with the lack of compassion of our society especially for less-than-perfect human beings. I mean who is perfect anyway?! 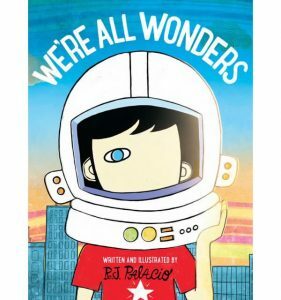 The movie is based on RJ Palacio’s novel which I read this year and loved. The educational factor of this film is clear because ultimately the disfigurement is a metaphor for difference, inner diversity. We all need to learn that everyone is unique and has to be accepted for what he/she is. Parents in particular have the responsibility to bring up children who are mindful, sensitive and tolerant. It is not an easy task, but on-screen parents Julia Roberts and Owen Wilson are doing a great job showcasing what accepting gentle mums and dads can do in similar situations. 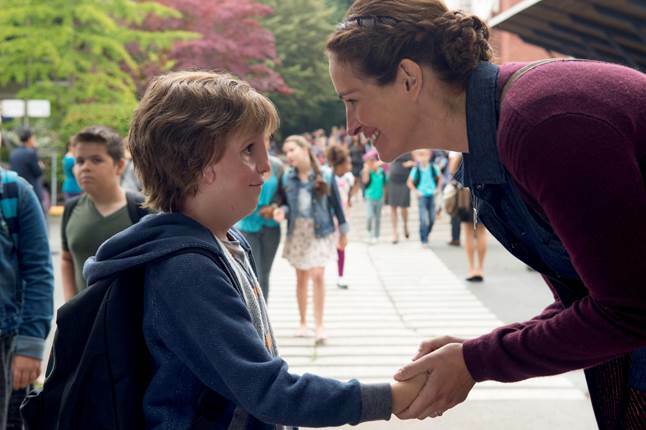 Starring Academy Award® winner Julia Roberts, Oscar® nominee Owen Wilson and Jacob Tremblay and based on R.J Palacio’s New York Times bestseller, Wonder tells the story of August Pullman. 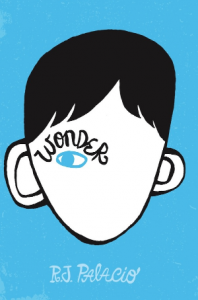 Born with facial differences that, up until now, have prevented him from going to a mainstream school, Auggie becomes the most unlikely of heroes when he enters the local fifth grade. As his family, his new classmates, and the larger community all struggle to find their compassion and acceptance, Auggie’s extraordinary journey will unite them all and prove you can’t blend in when you were born to stand out. 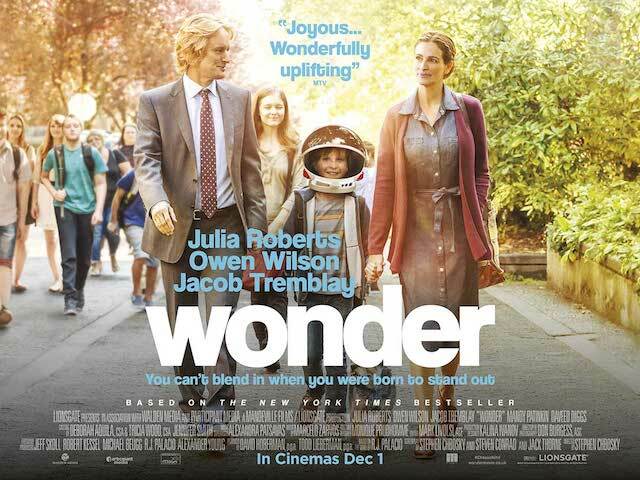 Wonder is one of those movies that will make you think a lot after leaving the cinema. For me it was a no-brainer because I read the novel and knew what was going on. But having the characters of a book so well visualised on the big screen was a real treat for me. 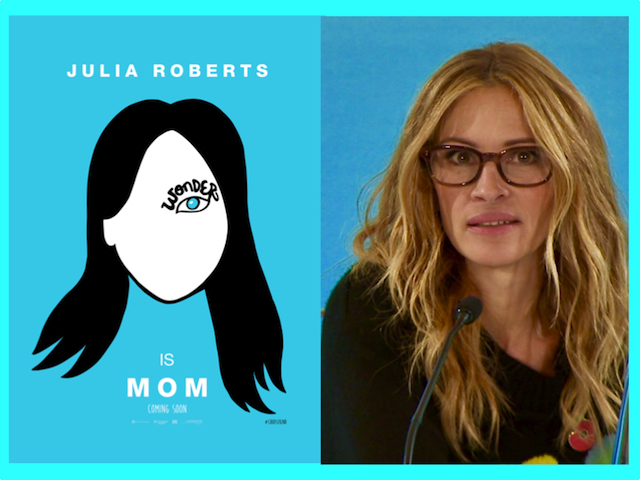 Julia Roberts is certainly the best actress for this role of a very compassionate mother. I had the chance to meet her twice and talk to her while she was in London for the promotional tour of Wonder and she strikes me to be a very shy and human lady. I am glad I could verify that she is not just a beautiful actress but she is willing to be involved with serious movies like Wonder which have an important role to play in changing the society we live in. For this reason, this movie is a must-see for all families. There’s nothing in this film that could be shocking for children. We are all faced with diversity since an early age, now more than ever, but it’s how we deal with differences that distinguishes us from other people. I also recommend reading the book, either before or after seeing the film. The movie has been made under the supervision of the author and certainly is faithful to its spirit and unique structure. If there’s a family film to watch this year, that has to be Wonder. Wonder is a MUST-SEE film so don’t miss it when it is released in cinemas on 1st December 2017. This entry was posted on Thursday, November 23rd, 2017 at 4:09 pm and is filed under Movies. You can follow any responses to this entry through the RSS 2.0 feed. Both comments and pings are currently closed.